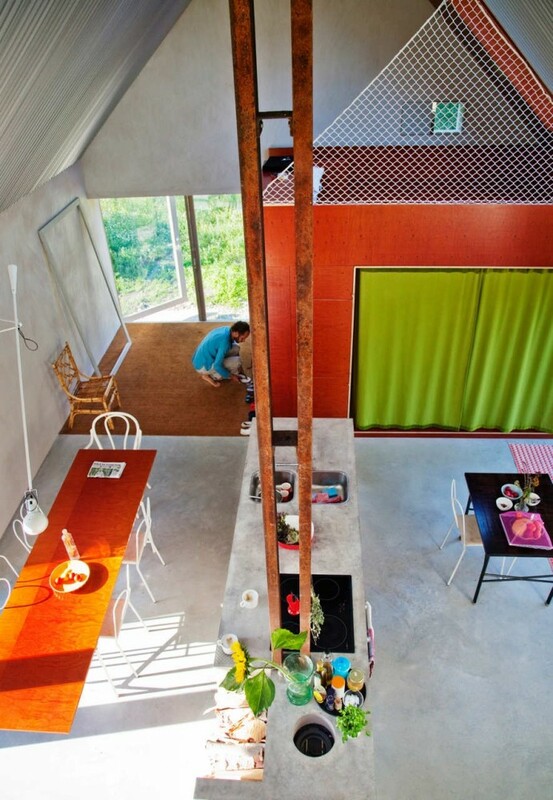 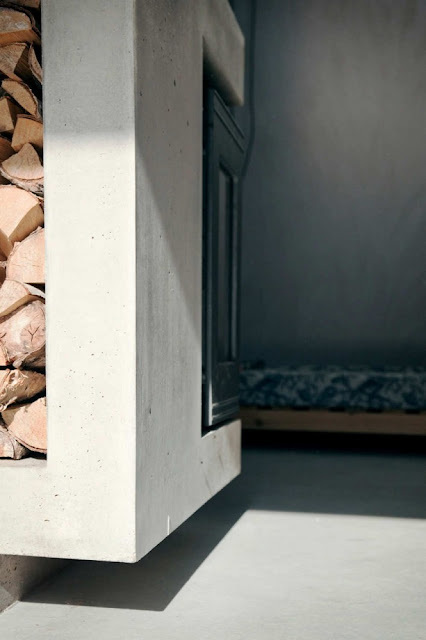 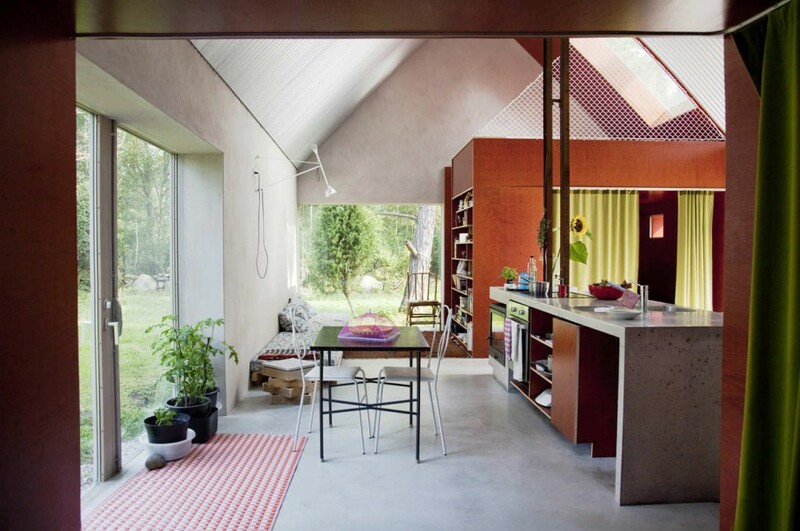 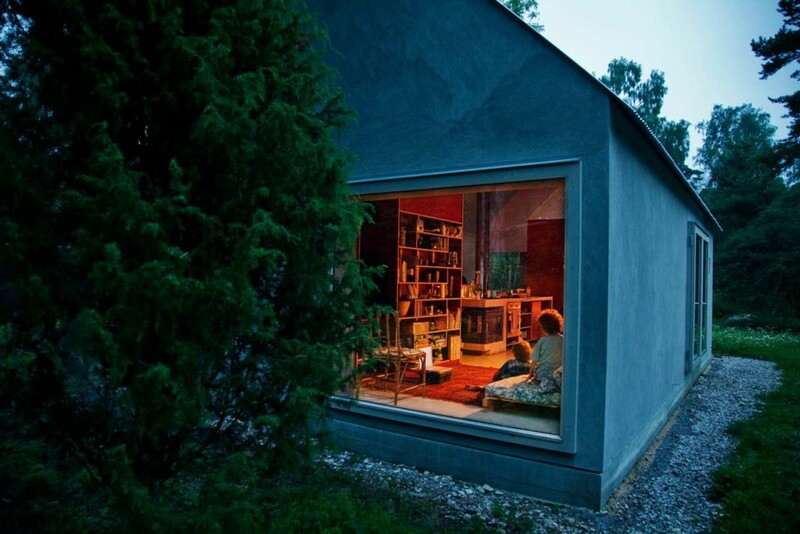 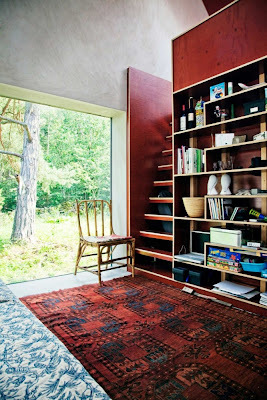 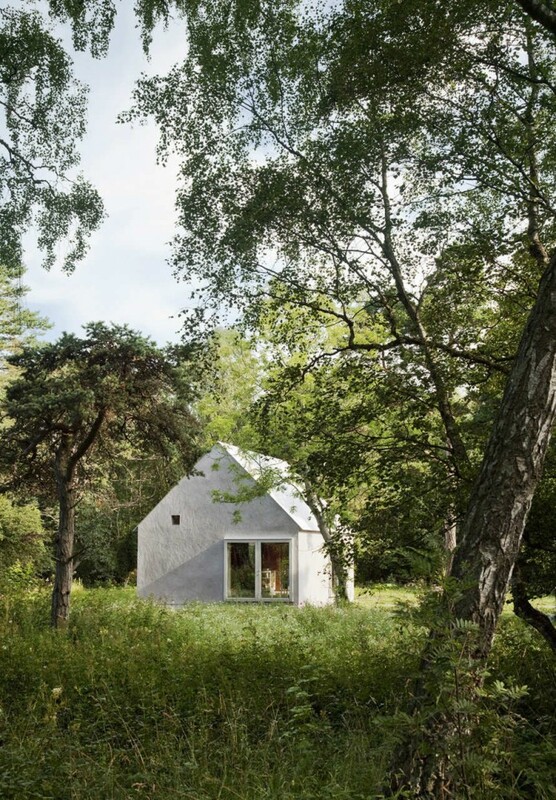 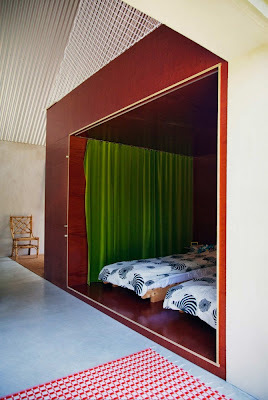 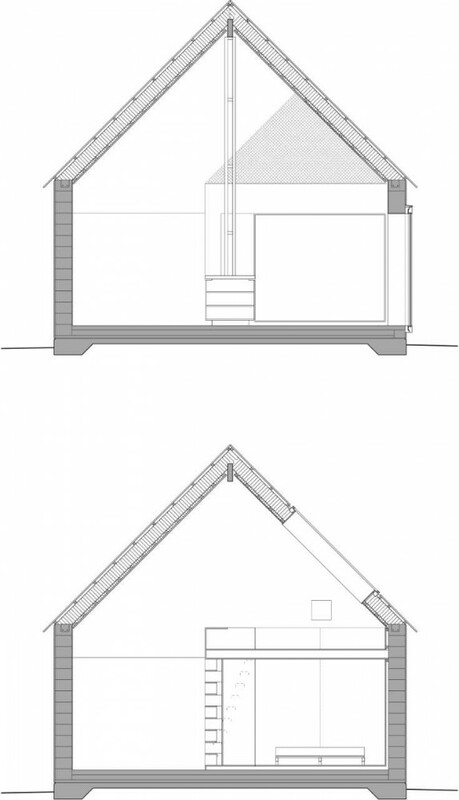 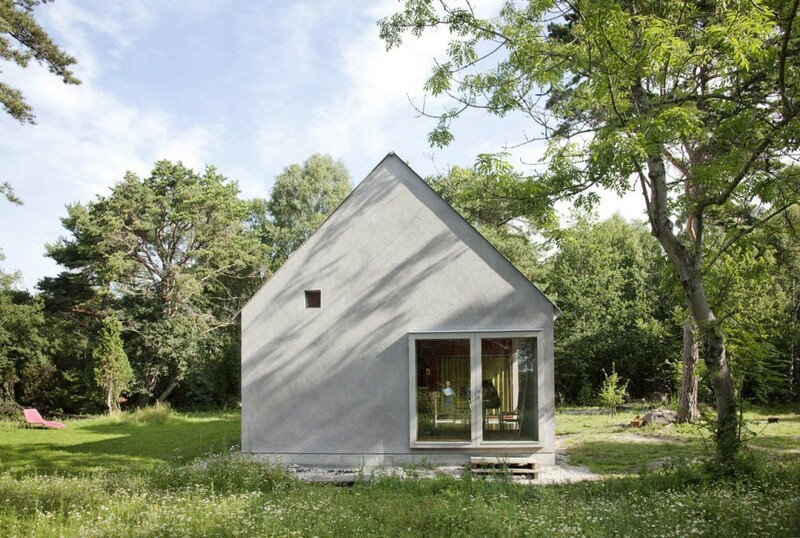 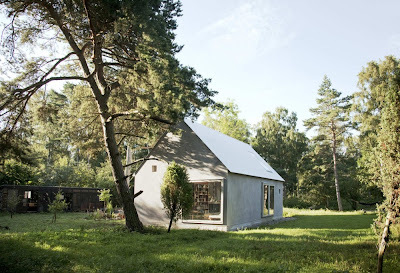 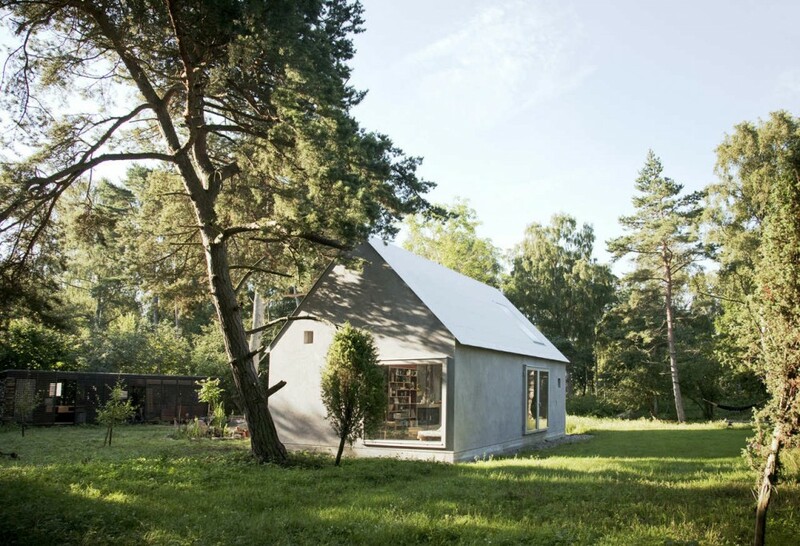 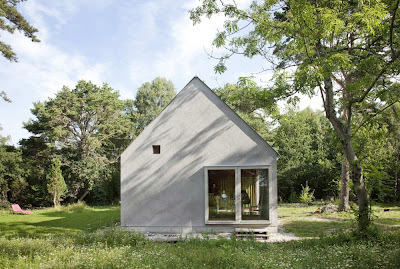 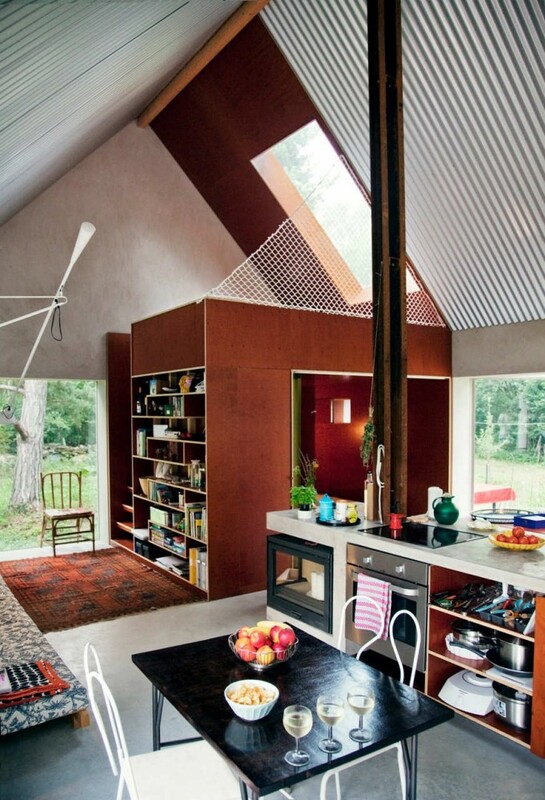 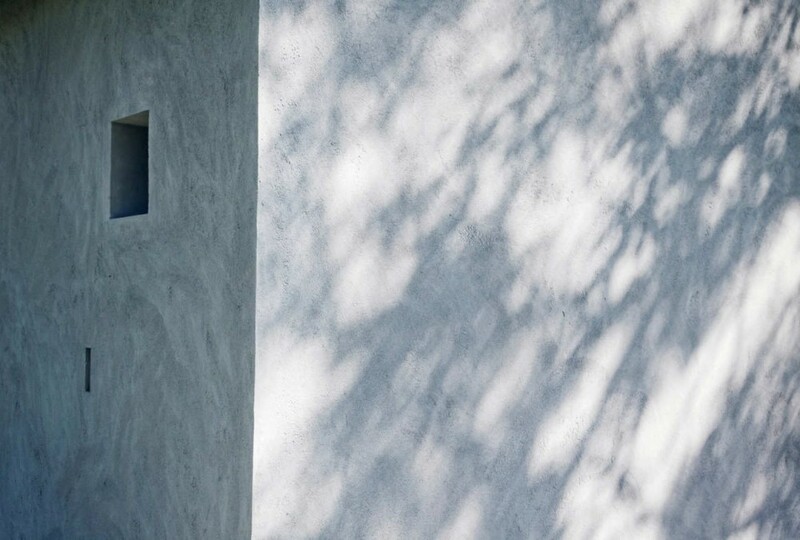 The little summer house (Gotland, Sweden) designed as simple as possible. 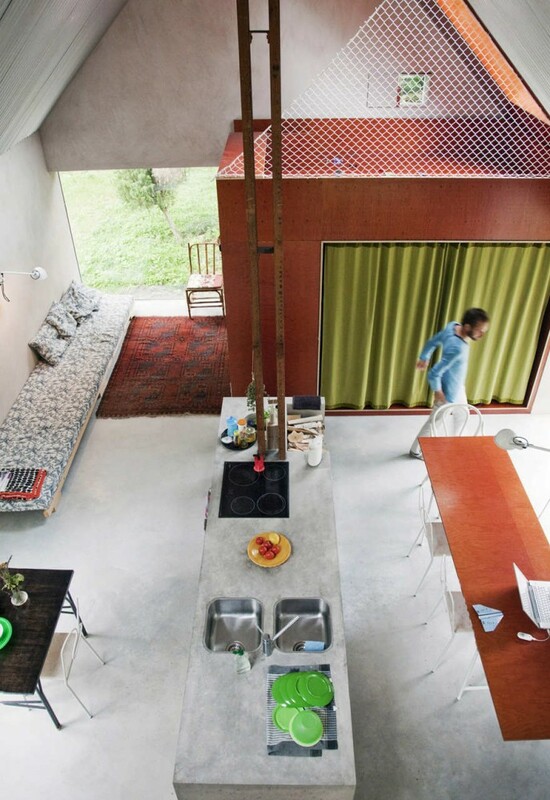 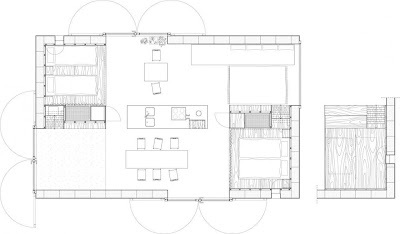 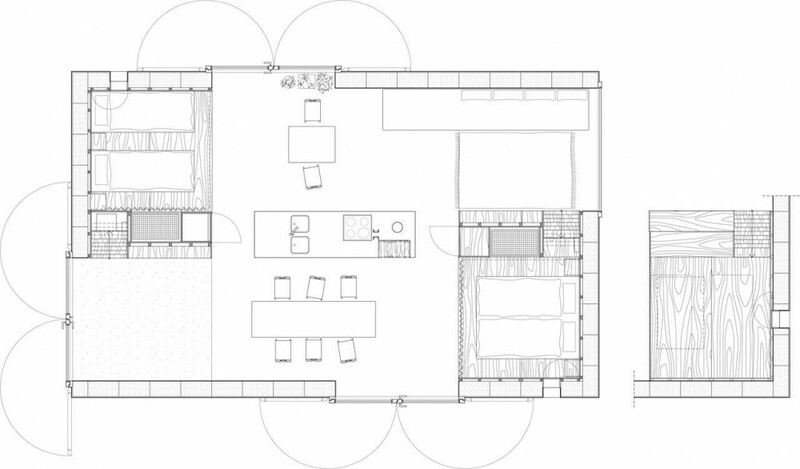 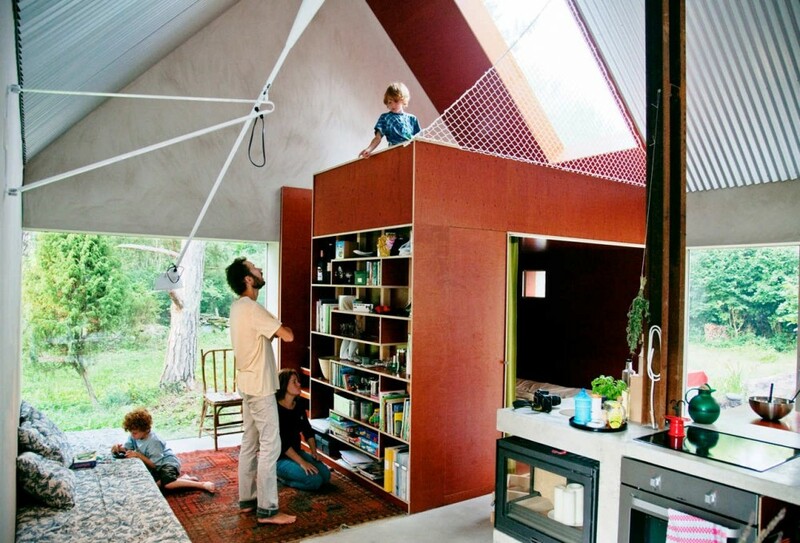 In one space is placed everything you need: a place to sleep, a kitchen in the middle, there is a shower outside. 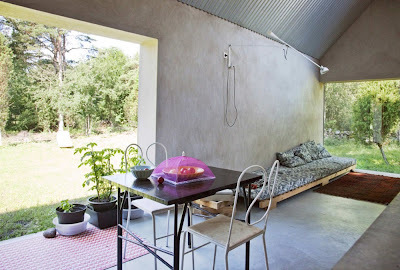 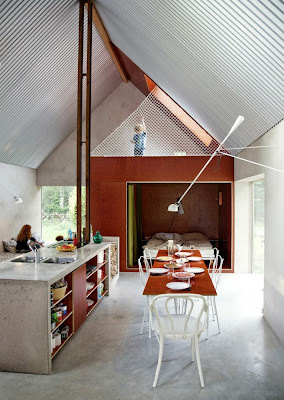 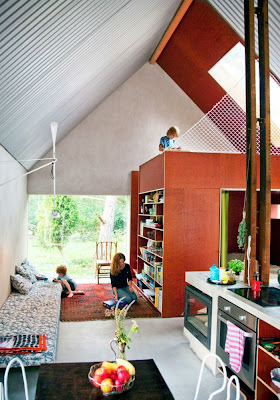 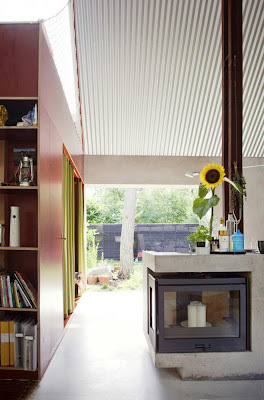 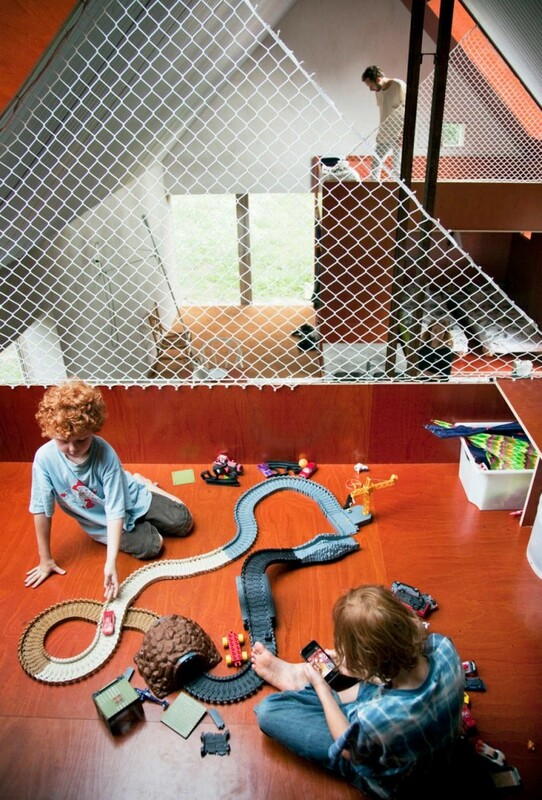 Walls are made of lightweight concrete blocks, and a simple roof structure covered with corrugated steel sheet.